EMERYVILLE, Calif., August 13, 2018	(Newswire.com) - Work-from-home opportunities appeal to many people for different reasons but for those who may be struggling to make ends meet, they sound too good to be true — and too good to pass up. Claiming to offer high pay for limited, flexible hours, these job offers are more often than not the work of scammers preying on underemployed or financially strapped people. 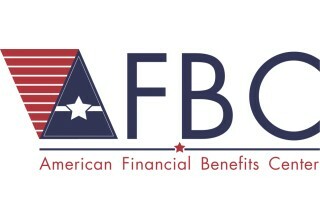 American Financial Benefits Center (AFBC), a document preparation company, commends the Federal Trade Commission (FTC) for its efforts to warn consumers on the various types of work-from-home scams. The company assists student loan borrowers with federal repayment plan applications, which are intended to reduce monthly payments for borrowers without high income. The FTC warns that these work-from-home opportunities don't deliver on the claims they make and advise people to do their research prior to signing up for them. Many of these scams offer "starter kits" or useless certifications. The offers may also provide inaccurate information, claiming a person can make more money than is possible or failing to disclose what the upfront costs may be. Some scams require people to spend large amounts of money, promising that it can be earned back quickly, only to be untrue. 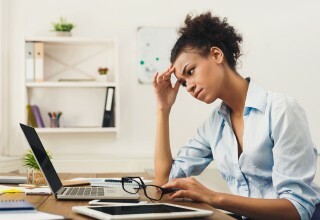 Some common work-from-home scams identified by the FTC are internet businesses, envelope stuffing, rebate processing, mystery shopping and medical billing. While these could all be potentially real job positions, the FTC cautions there are certain tip-offs as to whether or not the opportunity is legitimate. If the offer requires an upfront fee or requires any financial information, that's a red flag, no matter where the job was posted. The FTC recommends always doing thorough research when considering a work-from-home job and fact-checking everything the offer says using the FTC disclosure document as a guide. They also recommend looking at reviews that other individuals have posted about their experiences working for the company in question. For consumers who have already participated in a work-from-home opportunity and believe it was illegitimate, the FTC urges them to place a formal complaint. For people with federal student loan debt who may be thinking about supplemental income, AFBC suggests looking into income-driven repayment plans (IDRs). An IDR may allow student debtors to reduce their monthly payment relative to income and family size so they may not feel the need to look into job offers that promise a lot and offer little to nothing in return.